Donates all soil amendments, mulching and fertilizer for garden. Through TMA parent David Spinoglio, donates irrigation supplies, materials, tree trimming services, plants. 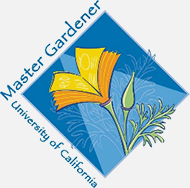 Donates time and services of Master Gardener, Teena Spindler, who trains parent volunteers about seed to harvest programs. 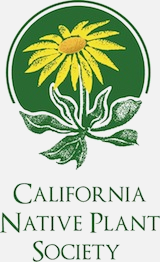 Owner Mark Hay donates ongoing garden resources, labor and program development and design time . $2000 Grant for Green Bucks program. Donated soil test kits for composting programs. Donates irrigation supplies, labor and plants. Co-owned by TMA parent Kurt Christy, donates materials and labor for all garden construction. Owned by TMA parents Duncan & Michelle Millar, donate marketing services. Donated 2,000 onion plants for fall 2012 garden and 200 to 2010 garden. Donates worm bins materials, worms and services. Owned by TMA parents Terry and Cathy Laughlin donates printing services for garden materials. Donates brussel sprouts, potatoes and other produce. Donates irrigation controller and subscription services. 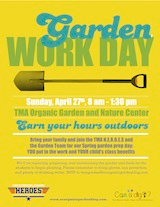 Donates time of TMA Master Gardener, Teena Spindler, to teach and train staff, parents and children. Owned by TMA parents Michelle and Duncan Millar donate natural gourmet cookies at events. Donates irrigation supplies and plants. Donated a 1,500 gallon water harvesting cistern.